Today, the First Friday of September, is a day of prayer and fasting in parishes throughout the Archdiocese of Baltimore. It is a day when we come before the Lord with humble and contrite hearts, seeking God’s forgiveness first for our own sins and failings but also seeking God’s forgiveness and healing for the appalling sin of sexual abuse perpetrated over and over again by clerics and other representatives of the Church. 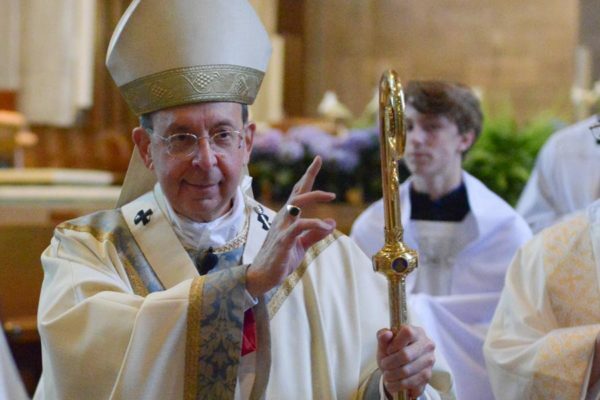 It is a day when we acknowledge as well how bishops and other church authorities covered up those sins, inflicting further pain on those who had already been victimized and undermining the credibility of the Church. It is always true that none of us is capable, on our own, of making amends for our sins. When we examine our conscience & reflect on our own personal history of sinfulness, each of us realizes that we are incapable of paying the debt we owe first to God but also to the Church and to the people whom our sins have harmed. Each of us must say with the Psalmist: “To you all flesh must come with its burden of wicked deeds. We are overcome by our sins. Only you can pardon them” (Psalm 65:3-4). If that is true in the normal course of life, how utterly true is it in the present time of the Church’s life when we are confronted with a tsunami of abuse and perversion: the abuse of young and innocent people, the abuse of power, the abuse of trust, And even if these grave sins were committed decades ago, many victims continue to bear the terrifying scars of these sins and the Church herself continues to be deeply scared and wounded by them. So we pray and fast today – and in days to come – not because we imagine that these activities will, of themselves, will make amends for the unspeakable crimes committed against the young, for only with the Lord are found forgiveness and healing. And yes, we are rightly resolved to do everything possible to make it very certain that this form of treachery shall never again endanger children and young people. And yes, we rightly demand answers to troubling questions about the past conduct and future accountability of bishops. Much is underway and pray God we as a Church will do the right things with a candor and courage that the present situation impels. But let us also not imagine that even the most strenuous efforts and the most comprehensive plans will deliver us from this evil. There is only one place for us to turn: to the heart of Jesus, the open and merciful heart of the Savior where we find the forgiveness of our sins – our own sins and the sins of others – the open and merciful heart of the Savior that is the source of healing for all those harmed by grave sin of abuse, the heart which is the source of healing for the Church herself. By prayer and fasting our hearts are opened to the Lord and his merciful love. By sharing in this Mass, we are led straight into the heart of Jesus who, though sinless, laid down his life for the forgiveness of our sins and indeed the sins of the whole world. Here we find a love stronger than our sins, here we find the power to make amends, here we are set on the path to eventual healing and restoration. What is it, then, that we should pray for this afternoon? As we take refuge in the Sacred Heart of Jesus, for what shall we ask? May I suggest two, fervent, heartfelt prayers that we might all make together, prayers that arise from the Word of God that was just proclaimed? Let us begin with the parable found in St. Luke’s Gospel where Jesus speaks about patching an old cloak with a new piece of cloth and pouring new wine into old wineskins. Isn’t Jesus instructing us that we, as his disciples and as his community of faith – . . .that we need to be made entirely new, renovated, as it were, from the inside out? Half-hearted repentance, compromises with sin, structural sin in the Church’s life – all of this has left the Church in tatters and all of this has left us as unfit receptacles for the new wine of the Gospel – the Gospel of truth and life, love, justice, and peace. So let us pray for a new heart and new spirit – for ourselves and for all who make up the Church, the Body of Christ. Taking our cue from St. Paul’s 1st Letter to the Corinthians, let us form a second prayer which we might confide to the Sacred Heart of Jesus. There, St. Paul, in essence, describes what a bishop or a priest ought to be: a worthy steward to whom the mysteries of salvation has been entrusted, a servant of God and of the people, a minister of the Gospel whose heart and mind are an open book before God and before all, one whose conscience has nothing of which to accuse him. 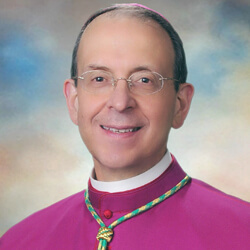 As members of the Body of Christ, truly we need to collaborate more closely, truly we need more accountability and transparency on the part of bishops – but even that will be of no avail unless your bishops, priests, and deacons strive in God’s grace to be genuinely holy: chaste and celibate in ways that foster the life of God in themselves and others, leaders who exercise their responsibilities with integrity, respect for others, and with a mind and heart that listens both to God and to the voices of the people. Yes, let us pray for these things and more!